With the advent of the new Apple iPhone 7 and later models, they have slowly but surely been removing the 3.5mm audio socket, and forcibly moving people to use either Blue-tooth, or earphones / headphones which can be used straight from the lightning socket. This of course requires an adaptor or rewiring. 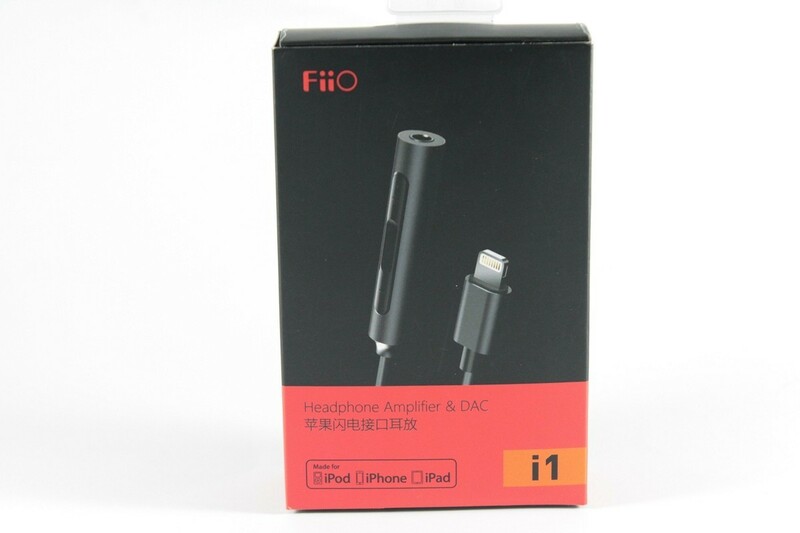 FiiO saw this as an opportunity, and this year released the i1 – an Apple certified micro DAC/amp with lightning port. So let’s put this $40 device through its paces and see how it performs and if it is worth considering. 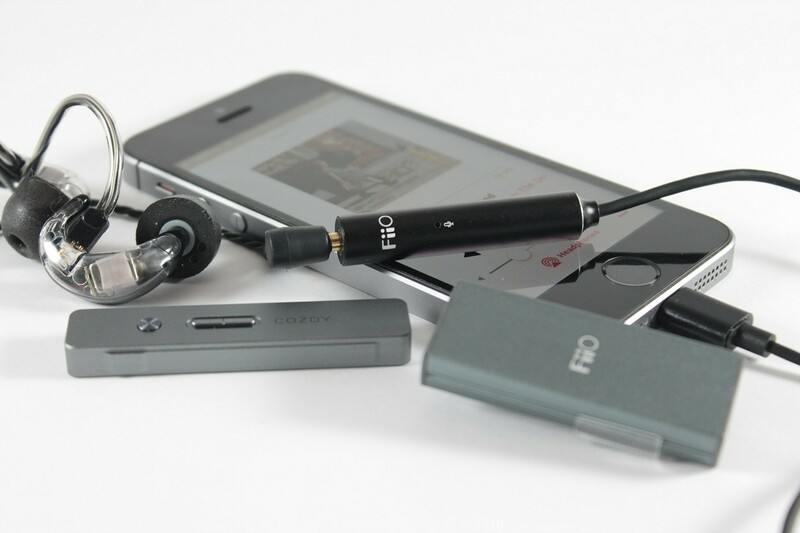 The FiiO i1 iOS lightning portable amplifier and DAC that I’m reviewing today is supplied by FiiO completely free of charge, and is done so for the purpose of providing a review. I don't receive any payment or incentive to provide the review – but I do get to keep the sample. I have now had the i1 for about 3 months, but I don't really use it regularly (mainly because I have an iPhone SE which still has the 3.5mm socket). The retail price at time of review is USD 40. I'm a 50 year old music lover. I don't say audiophile – I just love my music. Over the last couple of years, I have slowly changed from cheaper listening set-ups to my current set-up. I vary my listening from portables (mostly now from the FiiO X5iii, X7ii and iPhone SE) to my desk-top's set-up (PC > USB > iFi iDSD). My main full sized headphones at the time of writing are the Sennheiser HD800S, Sennheiser HD600 & HD630VB, MS Pro and AKG K553. Most of my portable listening is done with IEMs, and lately it has mainly been with my personally owned Jays q-Jays, Alclair Curve2, and LZ Big Dipper. A full list of the gear I have owned (past and present – although needs updating) is listed in my Head-Fi profile. For the purposes of this review - I used the i1 with my iPad Mini and iPhone SE. The i1 arrived in a small 90 x140 x 35mm retail box consisting of a printed sleeve over an inner box. On the front is a picture of the i1, and on the back is some information and specifications. Included in the package is the i1, a warranty document, quick start guide and shirt clip. 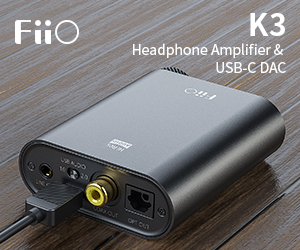 For this section I've included comparative data on FiiO's K1 ultra-portable which currently retails for ~USD 40.00 and would be an alternative (using a camera connection kit). 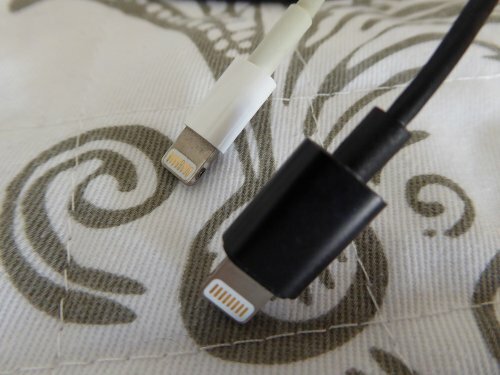 The i1 consists of an MFI standard lightning plug (which has been certified by Apple), connected to an 80cm cable, and ending with an ~45mm metallic tube (approx 9mm diameter). 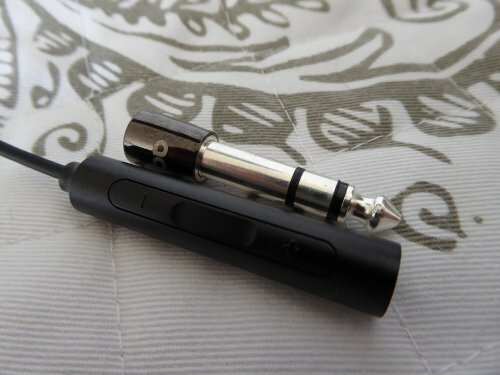 The tube is a lightweight metal alloy and houses the electronics, a microphone, volume and playback controls, and also the 3.5mm audio socket. The control on the module is via a simple pushable rocker switch. Up or down to change volume, press the middle to play/pause, double click to go forward, triple click to go back, press and hold to activate Siri. The controls all work seamlessly with iOS – both with my iPhone SE and iPad Mini. The microphone seems to be relatively clear. I've taken a couple of calls with it, and as long as I have the main body relatively close to my mouth it seems to work well. The only real issue I've had with the overall design is that the lightning jack is a little wider than my iPhone SE case, and I have to actually stretch the case over it to secure a fit and valid connection. Otherwise, for a $40 device it seems pretty well built. The i1 doesn't seem to heat up at all, and is reasonably cool to the touch even after a few hours playing. I'm guessing this is because of the very low power input from the source, and also output from the amplifier. 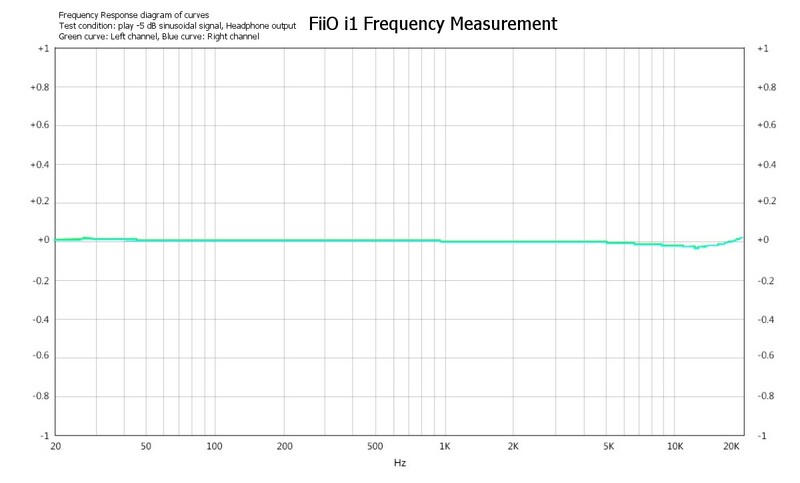 FiiO suggests headphones with impedance up to 32 ohms max – mainly due to the relatively weak amplification. My first step (using my trusty SPL meter and FiiO's new F9 Pro IEMs) was to measure maximum volume from both the i1 and also the iPhone's headphone out. The reading on the meter was exactly the same, so I can state reasonably confidently that for a 28 ohm load, there is no actual volume gain, but no gain loss either ( a good thing IMO). 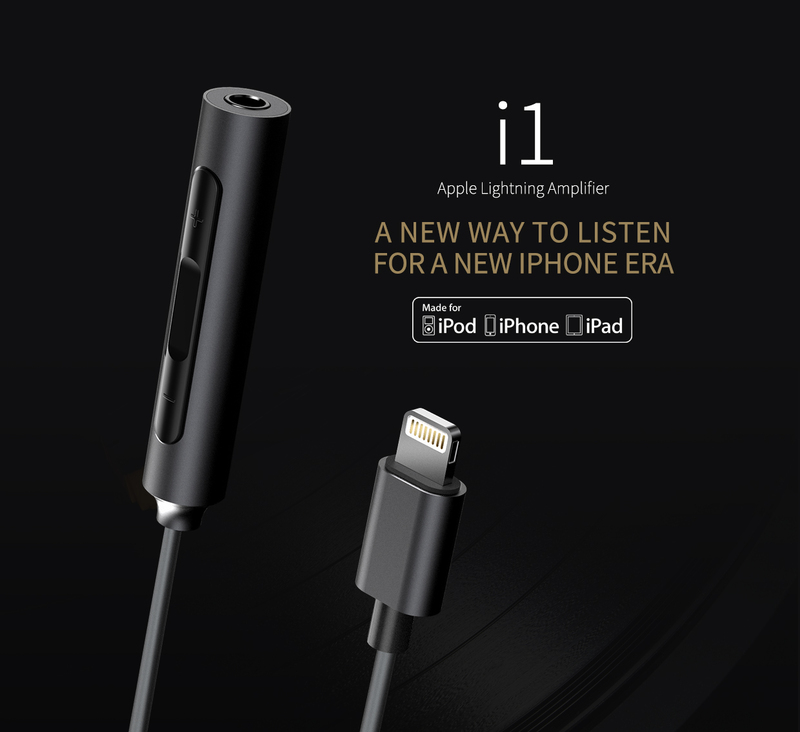 So this means that any headphones or IEMs you currently drive with your iPhone will be A-OK with the i1. Conversely, any that are normally beyond the phone's power output aren't going to be helped by the use of the i1. I did manage to drive the difficult MEE Pinnacle P1 (50 ohm / 96 dB sensitivity) at about 55% volume on the iPhone, as well as the 320ohm VE Zen ear-buds, and both sounded pretty good. My personal preference is to give both a little more powerful source, but they had no real issues with volume. An interesting thing when swapping out headphones – as soon as you disconnect from the i1's 3.5mm socket, the I-device immediately stops playing (nice integration). I also tried my HD630VB and MS Pro's and with these relatively easy to drive headphones, there were no issues with volume or perceived dynamics. Of course you lose the HD630VBs on-headset volume and playback controls – but that was expected. I'm not really going to go to much into this section. FiiO has a very good measurement set-up, and they are very proactive in supplying meaningful measurements on audio performance. They have graphed the i1 output under load (they didn't mention the actual load they used – but normally they'll use a 16 ohm or 32 ohm load with a signal at just under full volume (in this case at -5 dB). The resultant frequency graph was extremely linear with the smallest bit of movement in the upper registers (a fraction of a dB and unlikely to be audible). So I once again volume matched and set about comparing, or A/Bing the 3.5mm headphone out from the i1 vs the 3.5mm headphone out from the iPhone SE. For this I used my Alclair Curve (being one of the most neutral monitors I own). After a couple of hours going back and forth with a variety of music, I honestly can't say that I noticed any difference at all between the two outputs. Both are very linear, very clean and very clear. Is this a bad thing? No – the iPhone SE is the best sounding iDevice I've owned, and for the i1 to achieve this is a pretty good endorsement. 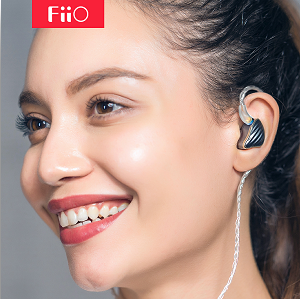 When you first plug the i1, you'll get a little pop-up asking if you want to install the FiiO app from the App Store. Definitely do it. 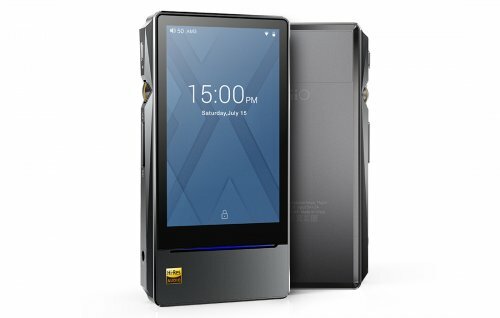 The app doesn't appear to do a lot (it gives instructions for use), but the real purpose is so that FiiO can deliver firmware upgrades to the i1 unit. 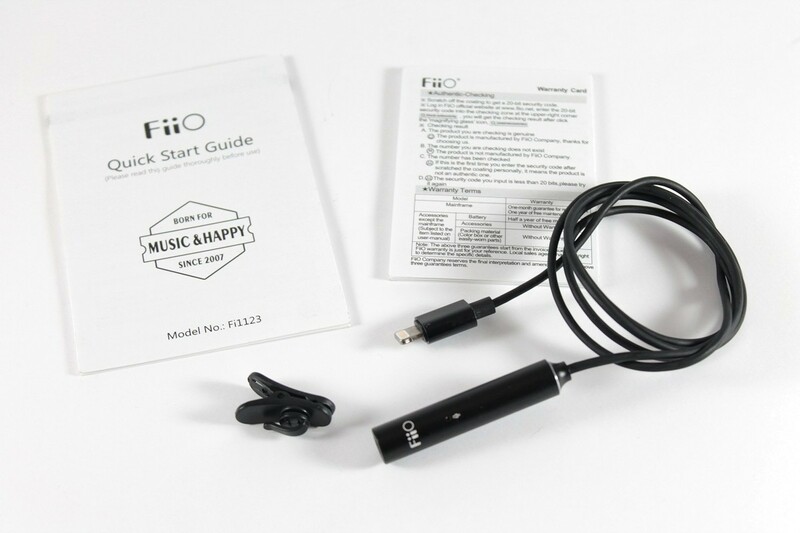 FiiO – small idea for the app in future (and to add value) – how about a decent EQ feature, or maybe some pre-set room DSPs? Just a thought. 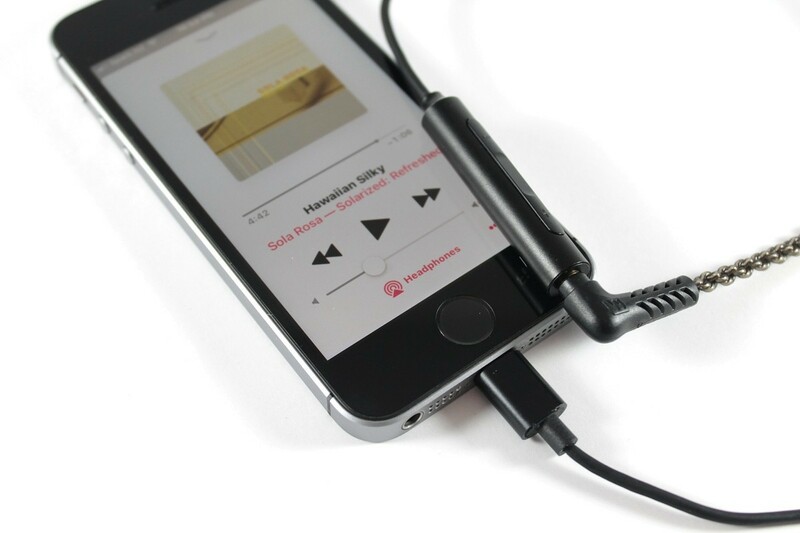 Use of the provided clip is pretty much compulsory unless you have a very short earphone cable (if using with an iPhone), and at the moment its probably the one drawback with this device (combined with a normal earphone, the cables are just too long). Don't get me wrong – you need the 80cm length with the i1 so you can have your phone in your pocket and wear any set of IEMs. But the issue becomes the added length of your IEM cable. You can manage this by either tying or looping it inside your clothes, but there should be an easier way. 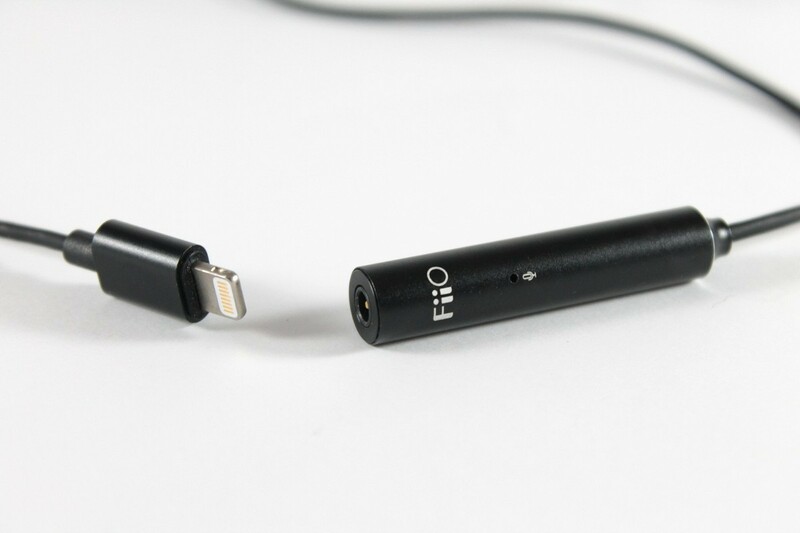 FiiO have thought of this and come up with the RC-MMCX1s – an MMCX short cable at 60 cm length. The issue of course – its not short enough. Wearing the shorter cable + i1 means the control unit and mic is down around my belly-button. Not ideal for voice calls! The ideal size is a cable with the jack pretty much combined with the y-split. 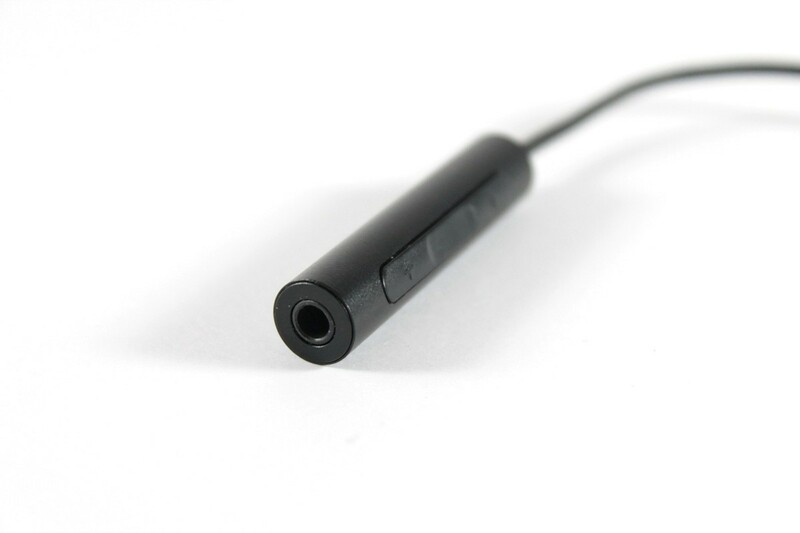 This then leaves the control unit of the i1 just below your chin, and becomes an ideal cable for use on the go. Then when you want to go to iPad use (or iPhone on a desk), simply use your longer cable. FiiO – if you want to have something truly usable, this is the direction you need to go – providing shorter MMCX and 2 pin cable options. This then makes the i1 not just a work-around, but incredibly useful (I'd then use this all the time). 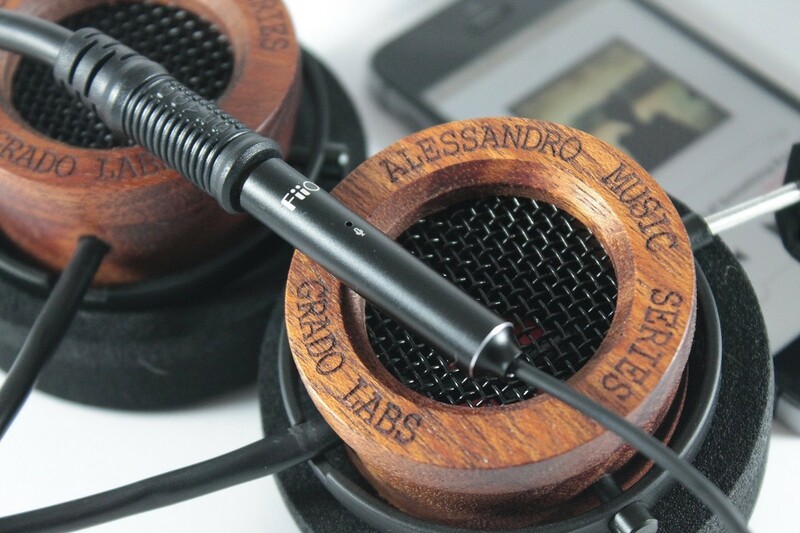 The ability to have controls and use any of my higher end earphones – brilliant. Don't get me wrong though – the RC-MMCX1s is still ideal for pairing with a DAP mounted on your arm – we just need more options for pairing with the i1. Because it doesn't have its own battery / power source, this is always going to be somewhat of an issue with a device designed to be used portably. With the i1, my testing seemed to indicate that for both the iPhone and iPad the i1 is drawing so little power that you're not going to really notice any faster loss of battery life. Realistically its going to be no more than the internals of the iPhone or iPad. I thought at this stage it would be a good idea to try and compare the i1 with some alternatives. My prerequisite was that the comparable units should ultra-portable DAC/amp devices which would work with my iPhone, and iPad – so I’ve listed and compared 2 simple alternatives – the FiiO K1 and the Cozoy Takt Pro. For testing I’ve used my iPhone SE, headphone out of the device in question, and my Alclair Curve to evaluate. All devices were volume matched with my SPL meter at 1 kHz with a constant test tone. 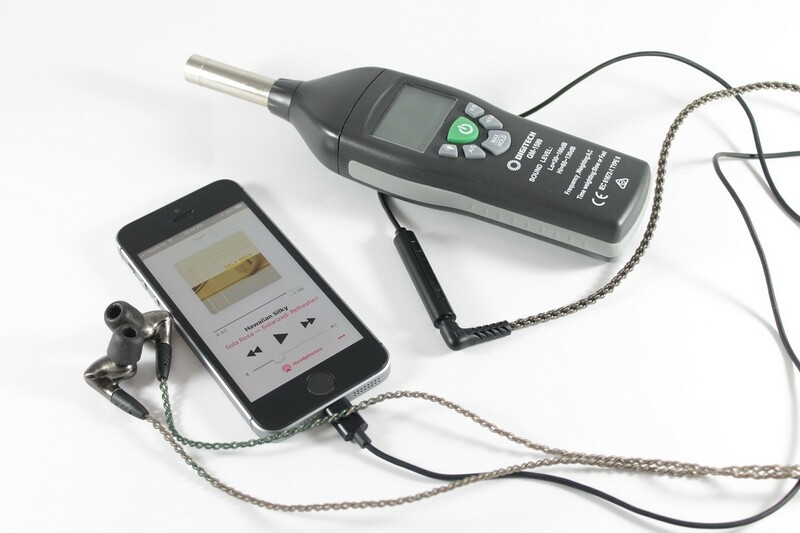 The K1 is an ultra portable USB DAC/amp, and can be used with a camera connection kit. It has low power draw, a slightly higher gain (1.2 dB), but can also be used with your lap-top. Ideally you'd simply have it permanently attached to the rear of your iPhone case. What you miss though is the mic and more importantly the controls – which are the real draw-card for me with the i1. In terms of sound, both of these devices are very similar, with the K1 perhaps having the slightest hint of warmth to its sonic signature. Both are roughly on par as far as quality goes. So the K1 is definitely an option as an alternative – although for my preferences (with the correct length cable), I'd still prefer the i1. This is not a fair comparison – but it is a viable option, and one that shouldn't be taken lightly. There is a big price difference, but the Takt Pro has a few more features up its sleeves. The Takt Pro comes with good accessories (cable choices), and has the better connectivity options with Android and iOS (again you never have to jump through hoops - it just connects). The Takt Pro has resolution capability up to 32/384 and also DSD. It can also be used with Win 10 devices (plug and play). The best part about it though is that it has controls on the device (volume and play/pause). The Takt Pro is more power hungry – and seems to draw around 15% more power from the iPhone (I've yet to measure conclusively), but it outputs enough voltage and gain to drive an HD600 – not as good as a really good amplifier, but enough to deliver the sort of performance where you can still get lost in the music. Sonically the two are quite different. The Takt Pro has more richness and depth to its tonality, and definitely seems to have more overall resolution (ability to really bring out high level detail). The i1 is still very good, but the Takt Pro does seem to take things to a higher level, and enough that I'm quite blown away at how good this tiny device sounds. Again it is a good option – it just depends on how much ultra-portability is worth to you, and whether it is purely for music playback, or if you also need the mic. This one is probably an easier one to call than most. 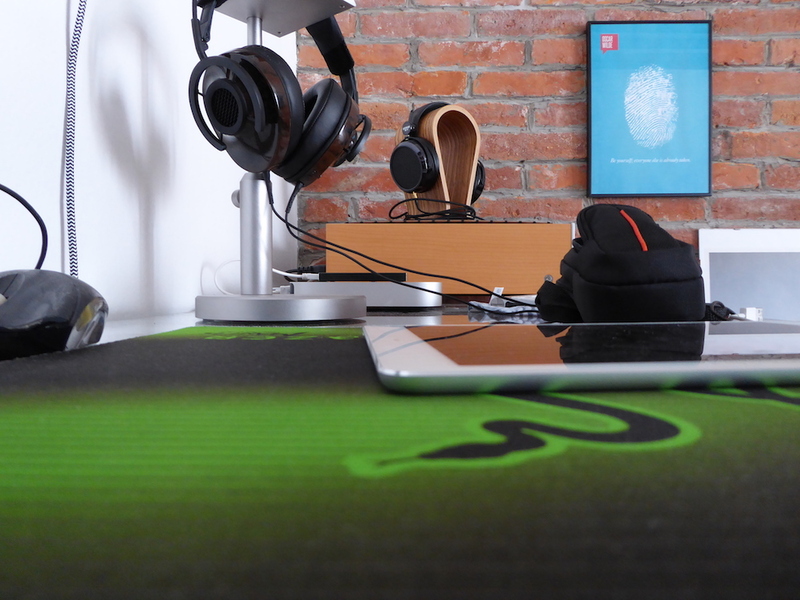 The i1 delivers exceptional value for a budget audio device. It sounds better than just “decent” and the addition of controls and a microphone gives it genuine versatility. Once someone supplies some really short cables (hint, hint FiiO), the i1 will be an almost perfect replacement for I-device jacks. The i1 is a really good device, and the only reason I don't really use it (at the moment) is because my iPhone SE still have a 3.5mm audio jack, and I can't really be bothered with the cable management. But if you look at what it does – decently good sound, instant and seamless connection, virtually no battery drain, and providing iOS controls and a mic – it doesn't take a genius to realise how handy this device can be. Of course it is somewhat limited by its amplification stage, and cable management can be a bit of a hassle. If you need to drive headphones needing more power, my advice is to look at an ultra-portable device like the Takt Pro. But if you're just using ear-buds or IEMs, and have an iPhone 7 or higher (and want your jack back), I can definitely recommend the FiiO i1. Some chamfering on the bottom edges adds a silver ring of lustre and flare to the design, reinforcing the i1’s industrial design. Each element is covered in a matte black finish that provided a little extra traction when inserting and removing earphones from the I1 and the i1 from my IOS devices. The i1 has quite a long cable (80cm) beneath the main housing which does make it more awkward to use than the much more compact Apple dongle. The extra length enables the controls and mic on the i1 to be placed around chest height, mimicking the position of an inline remote. In use, it’s pretty awkward to use the device like this as your earphones need to be coiled up and clipped to your shirt; earphones with l-shaped plugs are especially fidgety. The i1 utilises the NAU88L25 codec/DAC chip which sports some pretty decent measurements that compare favourably to the IOS dongle. The chip also supports a whole range of file types and sampling rates up to 192kHz though file support is more limited by the Lightning interface and Apple’s software; users have suggested that 3rd party apps such as Onkyo’s music player will output these files. To provide some context, I think most modern Apple devices sound pretty similar with exception of the Nano and Shuffle. They all have mostly similar output powers and all carry that signature Cirrus sound which is very clear and perhaps more on the brighter/clinical side. In terms of measurements and specifications, the i1 is immediately quite comparable to the iPhone’s stock output (6, 6s and iPod Touch 6G). Honestly, that’s not a bad thing given that the iPhone has essentially zero background hisses and sounds pretty good in all other areas; I would put it on par with a low-midrange dedicated DAP save for its more limited output power. Taking into account that new iPhones are over $1000 here in Australia, it’s good to see that the $40 i1 is at least as good in terms of SQ. But as good isn’t enough of course, especially when Apple sells their own adaptor for just $12. And while I don’t think the Fiio holds a huge advantage over the iPhone or Apple dongle in terms of outright quality, the i1 retains the same strengths of the iPhone, the lack of hiss and smoothness of the sound, in addition to being considerably more musical with that typical fuller, warmer Fiio house sound. As a result of this tonality, the i1 is the more listenable source, not with already thicker, warmer consumer headphones, but with more balanced audiophile orientated products for which the i1 was intended. The i1 still sounds pretty clean but has more aggressive detailing throughout. Resolution isn’t mind boggling though it is at least as resolving as the iPhone without being as granular in the higher frequencies. Soundstage is one of the more noticeable advantages, providing appreciably more width and separation in addition to sharper directional cues; the atmosphere crafted by the i1 during live recordings of Led Zeppelin was cleaner and more compelling than the stock iPod output. The differences aren’t night and day, but can rather be appreciated over longer listening sessions. 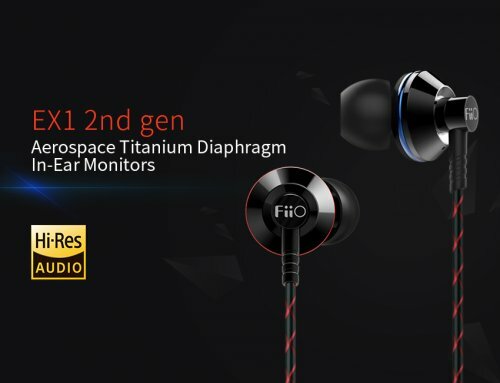 It should also go without saying that the i1 can’t compete with high-end dedicated sources like the Fiio X5 III, X7 and Chord Mojo though it never intended to even compete with these products. Instead, the i1 is a nice, compact source that assimilates nicely into the smart device ecosystem while bringing a taste of audiophile refinement. In terms of synergy, I found the i1 to be a better pairing to the majority of my earphones than my iPod Touch 6G and iPad Mini 3. Leaner earphones definitely found the greatest benefit though you don’t need a reference neutral earphone to take advantage of the i1. 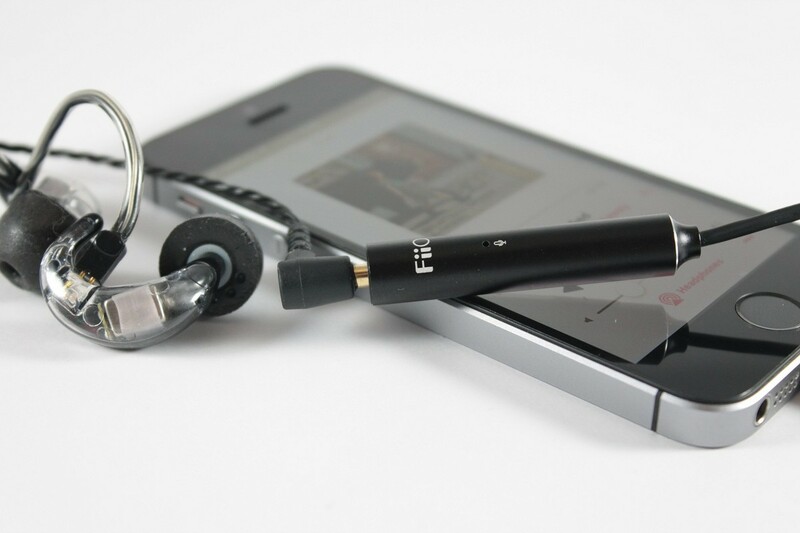 Notable examples include the Hifiman RE-600, which is an incredibly neutral and transparent earphone, and the TFZ King which is both very resolving and very source picky. The RE-600 is a pretty horrible pairing with any IOS device, it’s lean, mid-forward nature becoming overly forward and thin. From the i1, the RE-600 gains more body and weight to lower notes, sounding smoother and less granular. Perhaps most importantly, their soundstage expands which greatly helps to alleviate those over-forward vocals, making for a more nuanced and pleasant experience. 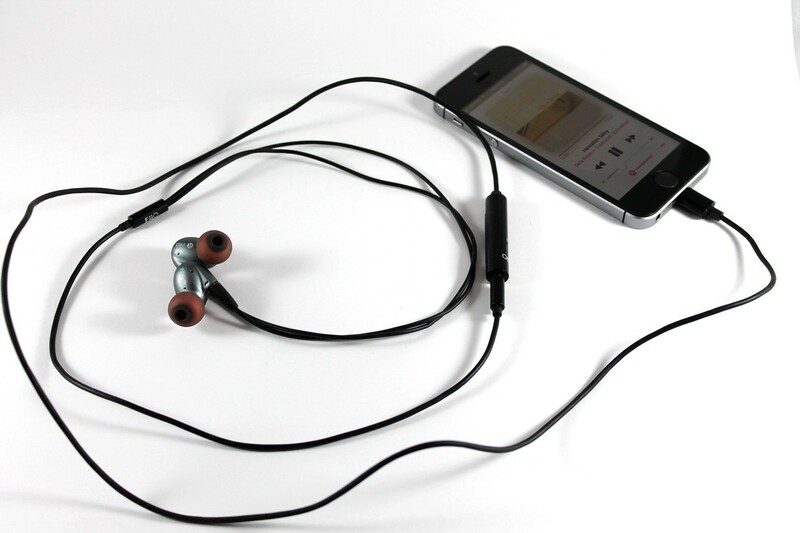 The TFZ King tells a similar story as an earphone that is quite sensitive to higher output impedance devices. The King actually pairs pretty decently with most IOS devices, save for the 5 which had a higher output impedance, producing considerable low-end roll-off. With the i1, the King extends further with more visceral rumble and its stage becomes cleaner and darker, making everything sound more effortless. And even more expensive earphones like the 64Audio U3 are well served by the i1. The U3 has excellent resolution and easily reveals flaws in the source, it is also very susceptible to background noise so the quiet, low impedance i1 makes for a splendid pairing. When compared to my iPod Touch 6G, the U3 gained more midrange body, bass notes had greater definition and the treble performance, in particular, became noticeably more separated and airy. The i1 also finds a home for users of inferior IOS devices like the aforementioned 5, ensuring that audio and volume will be consistent from device to device. While I can occasionally get some fatigue after listening to my iPod for longer sessions, I didn’t find myself experiencing this with the i1 due to its warmer nature and the i1’s improved resolution and dynamics ensure that this tonality don’t interfere with quality. In terms of power output, the i1 is very similar to the iPod’s jack and every volume level is almost perfectly matched between the two. By specification, the i1 does produce a little more current than the iPod/iPhone though as aforementioned, total voltage output is very similar. The i1 also has a very low output impedance which, combined with the additional current, makes it perceptibly better for low impedance earphones and portable headphones. That being said, if the iPhone’s stock volume is not sufficient for you, you might want to look into Fiio’s A1 or A3 instead as the i1 provides no volume advantage over the stock output. Hiss is also exemplary on the i1, my most sensitive earphone, the 64Audio U3 (114dB, 12ohm) had barely audible hiss that was quickly buried when music was playing, even on the first or second volume level. The iPod did hold a slight advantage with zero background hiss, though the difference is really quite insignificant and most earphones don’t pick up hiss on the i1 at all. So while the benefits the i1 brings over the stock output/dongle may seem questionable from perusal of its specifications, in real world testing, the i1 serves to be the ever more listenable and engaging source. Musicality is a difficult term to define, I suppose many would characterise is as an almost analogue quality as opposed to the sterility of “digital” sounding sources; a sound that finds greater synergy with the majority of higher end earphones. This is the same reason why you see people paying so much for old 80GB iPods and 1st Generation Nano’s with their famed Wolfson DACs; these devices, while technically inferior in measurements to their modern counterparts, possess such musicality. And that’s where the i1 comes in, it possesses the cleanliness and digital prowess of a modern Apple device combined with the organic timbre of those before. Verdict – 8/10, The i1 isn’t a huge upgrade over the modern IOS device, but it’s more natural tonality, enhanced build and added functionality well deserve the increased asking price. Their more effortless sense of detail combined with a more musical tone all go far to enhance the user’s listening experience. 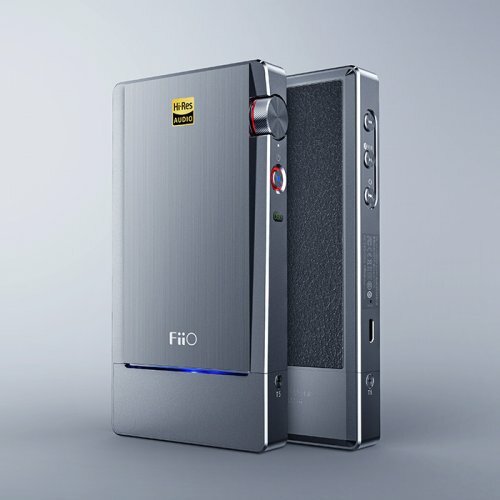 First I want to thank Fiio for the unit and for the pleasant communication throughout. 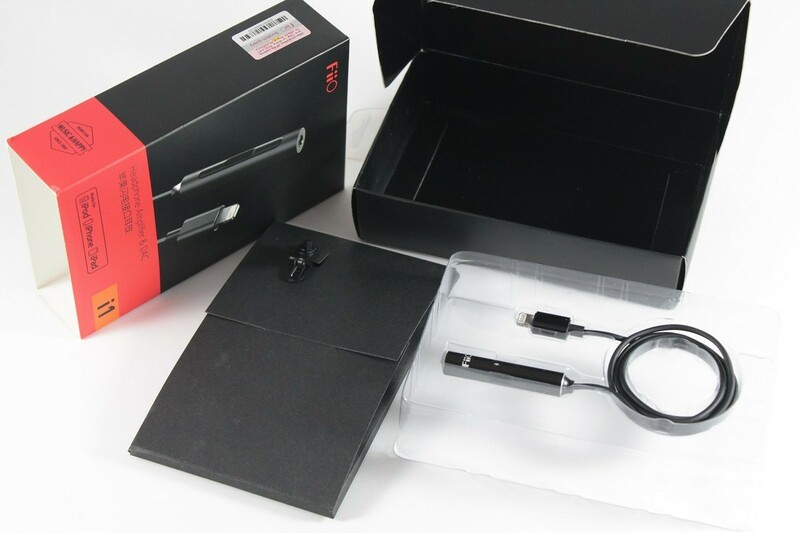 The product comes in a neatly packaged black and red box made of carton and laid inside on a plastic layout (I urge FiiO to not use plastic in the future in boxes as paper is environment friendly and presentation on a paper layout could be just a pleasing). Inside you get the unit itself and a small crocodile clip. Quite handy as the cable is 80cm long. The length of the cable could be a con or a pro, depending on use thats why I haven't put it pros/cons. I imagine if you have your iDevice such as iPad in the backpack the longer cable length could be beneficial. The i1 itself has a good built quality. The cable is made of soft rubber and the jacket is metal. I have to point out here that I would like to see the metal jacket to have some sort of texture as it sometimes makes it hard to connect or disconnect a headphone because the smooth surface can be slippery. Rubberised jacket would not only have a better grip but would also protect from scratches and accidental drops. Lightning connector is about a 1/3 bigger than Apple's original and the contacts are very nicely done. Best part of the unit have to be the controls. Buttons are absolutely a pleasure to use, they have the perfect firmness to them and feedback is excellent. Its actually one big piece with standard volume/play controls that you would normally get with Apple earphones. I did briefly try it with an iPhone 5 but the battery on that thing is so bad that I couldn't extensively test it. But it works right out of the box and maybe on one out of every five tries I have to unplug them and plug them back in to make the sound play out of i1 instead of an iDevice. But if there is one thing the iPhone 5 was useful is that I have not noticed the battery to drain faster with i1 than without it. Quite impressive. The volume on the i1 is lower though than listening straight out of an iDevice, for about 15%. I used iPad Air 2 to extensively compare the sound. The Air2 has a more energetic and dynamic sound which is what I like however for those wanting a more laid-back sound without sharper (less energetic) heights the i1 provides with a smoother, less aggressive sound. If I had to do a rough and quick comparison I would say the Air2 sounds like HD800 and i1 sounds like an HD600. Not in terms of technicality but in terms of overall sound signature. Can't say much more about sound for certain but these are tiny devices that are made primarily for practical uses rather than for serious sound upgrade. Which brings me to conclusion and for who is the i1 made for. If you are unhappy with your iDevice' sound then the i1 might be to your liking as it has a very different character. I see it to have the biggest use for iPhone 7 users who don't have headphone output or for those needing volume/play controls and microphone. The i1 is a very small and light unit and so versatile.